I've become a fast fan of tutus. Shhh. Don't tell anybody. I did the whole ballet thing as a child, and I have to admit, in adolescence, I swore off tutus for life. Really? I swore off all frilly things in general. So you can imagine my surprise when a couple of years ago, out of a blue, I suddenly became drawn to pretty, frilly girly pieces again! It came out of the blue. It started with a penchant for goth style that strayed into splashes of pink and other dramatic additions and has progressed... now, into a full blow appreciation for Tutus!! That's how I came to decide that I love today's shop. Not only are they filled with some very cute and adorable little girl tutus, but they specialize in infusing a love of art and color into the clothing they offer in their shop, which includes not just tutus but also a Mommy and Me selection, pretty little headbands and hair bows, wings, dresses and much more. This mother and daughter design team provides an ever-evolving selection of stylish printed and handmade apparel and accessories you're sure to enjoy browsing through. 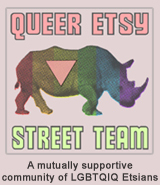 TO VISIT TURQUOISEANGELS ON ETSY, YOU CAN CLICK THE PICTURE ABOVE OR, IF YOU'D RATHER, CLICK RIGHT HERE! 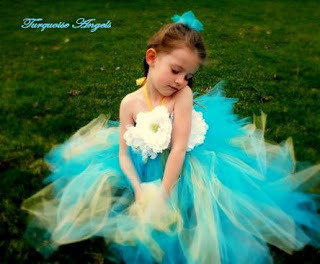 Gosh, I wish I had a daughter who can wear tutu's! I'm not girly-girl at all, BUT I love the tutus & wings! Great color combos in that shop. Sweet. Thank you so very much! LOL, no daughters - only 2 very naughty sons!! Modern Art for Every Home... and COLOR!